In this picture, there is a hole. To our disappointment it was rather empty. In this time of year, there should have been a lot of hot and feverish activity! These holes, there are several of them in this region, are connected to each other through immense underground holes. The ground is mostly limestone. Yes, the same limestone as was used here. Here, instead, people did not take everything away to use it for building. I guess it’s a bit far away from the popular regions for this. After all limestone is not diamond. When limestone comes in contact with water, it dissolves. Slowly but surely, holes and caves are beginning to form. Over thousands (hundreds of thousands) of years, the caves become bigger and more interesting. 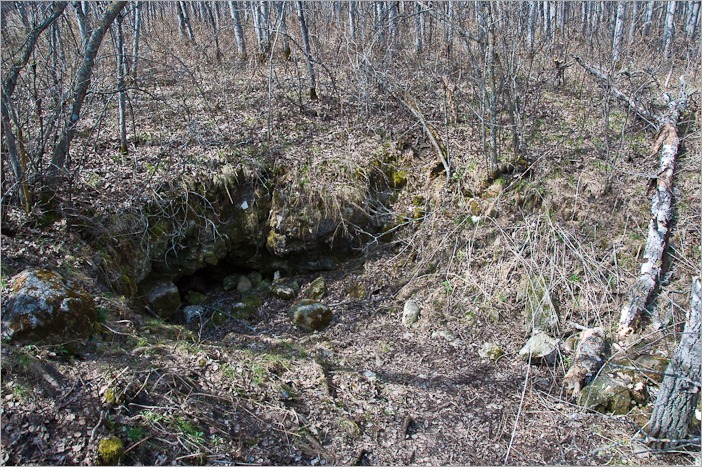 The beginning of a cave, which is nothing more than a crack in the stone, is called a karst. On the surface, nothing much of these karsts is visible. Apparently there is no way of visiting underground. So, until now, I still didn’t tell you what this is all about. The karsts are populated by world’s largest concentration of SNAKES. Yikes! Talking about snakes always made my skin crawl and always gave me visions of horrible bites and lack of air. None of this here. It is a wonderful place for children to learn a little about these animals. 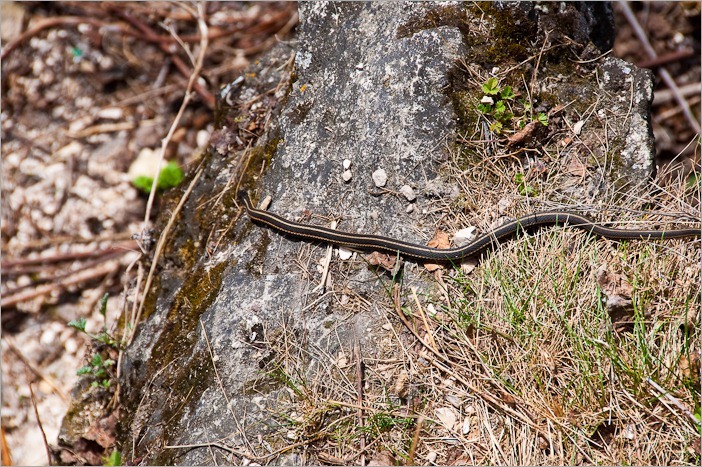 The North American red sided garter snake is not venomous. At all. Well, I never like to take risks, but here the kids pick them up and have their pictures taken with them. So I guess that these snakes are ok. For snakes. 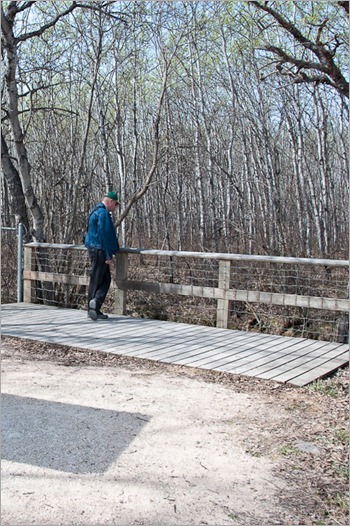 The warden of the park told us that while in other parts of the province the snakes would bite, here they are completely used to being “harassed” and manipulated in springtime by humans. Elsewhere, they are being eaten by crows, who have a real party with them. But since here there are too many people around in springtime, the crows don’t come close. So the snakes “tolerate” people and get more of a life. Their life. Not a bad trade I think. The activity here is mating. 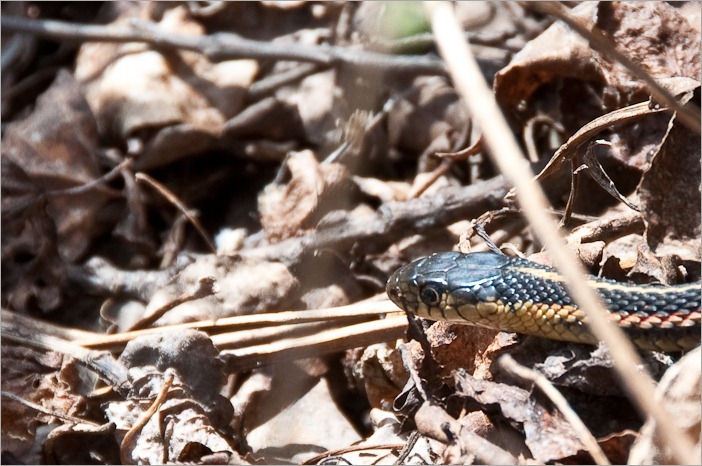 After 6 months underground, above water level and below freezing level, the snakes come out of their dens. The first thing on their mind is mating. When the males are out in the first sunshine in the end of April, they wait for the females to wake up and come out. What happens next is all natural. 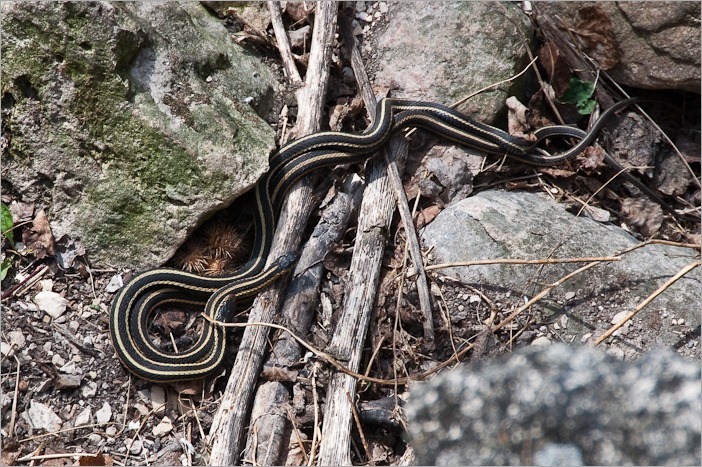 One female snake mating with sometimes as much as 50-100 male snakes at a time. After that, food. We didn’t see the many hundreds of snakes, apparently this year they are slow to wake up. Once the mating period is over, the snakes all go their separate ways in the region. A snake is not a social animal (who would have guessed?). 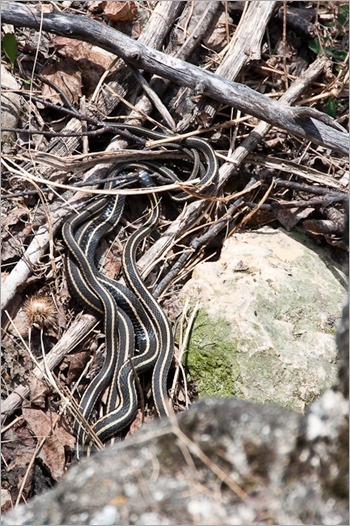 But after a summer full of eating and sunbathing, they come back to the snake dens. 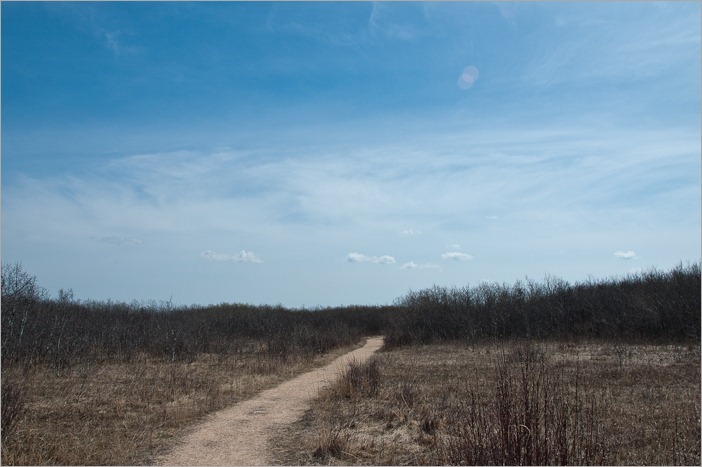 At those times it is not uncommon to see several tens of thousands of snakes in this place. 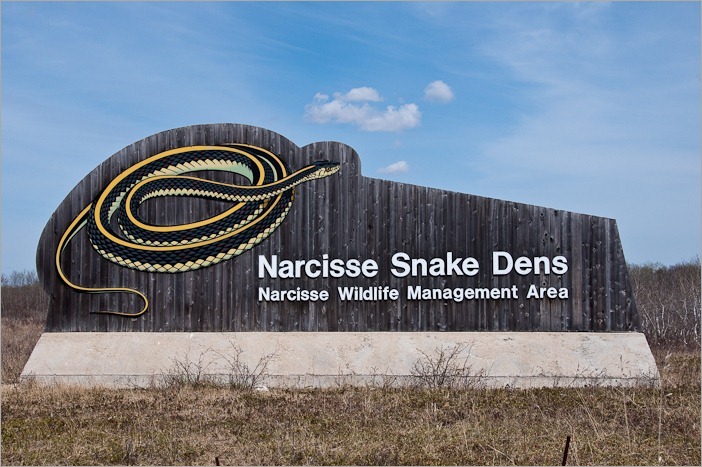 A guesstimate is that in the dens here in Narcisse, there are as many as 70,000 snakes. When autumn comes, mysteriously they find their way back to their own den and stay there. They are not sleeping, this is called brumating. Half asleep, half awake, they stay underground for the next 6 months. Seen from a small distance the snakes look like a yellow striped garden hose. A closer look reveals a little red on the sides, that’s where their name comes from. 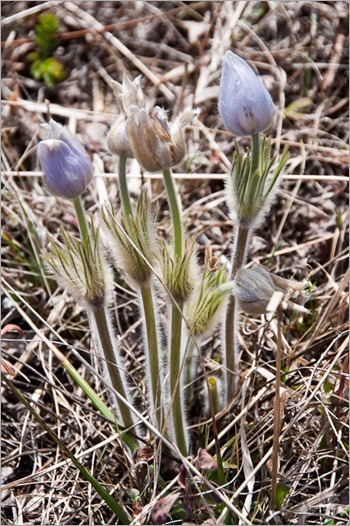 This all is happening in the National Park of Narcisse, Manitoba, Canada. In spring, around 70,000 snakes welcome you. And for once, you don’t need to take anti-venom kits with you. However, high shoes (not high-heeled shoes) are a good measure.